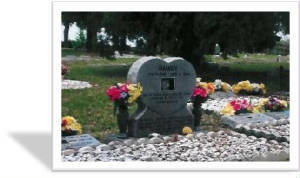 Established in 1970, The Memory Garden dedicated to all beloved companions that have journeyed over the Rainbow Bridge. The grief for our pets' passing is experienced as deep as the loss of any member of our human family. For many the burial process is a natural expression of that grief. More and more pet owners are honoring those animals who endeared themselves to their human families.The early Egyptians of all ancient societies, is best known in conducting funerals for animals. This was discovered after the recovery of elaborately mummified dogs, cats, monkeys and birds by archaeologists in recent times. Land along the Nile River was set aside specifically for the burial of animals as early as 1000 B.C. It was also acceptable to inter their pets in the tombs with their owners.Today there are over 500 pet cemeteries in the United States alone. 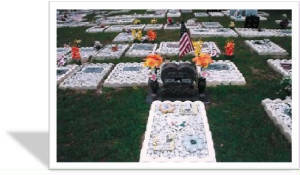 So many owners now choose to honor the lives of their pets; this shows the kinship that we have found with our companion animals.The Memory Gardens is a resting place for these beloved and faithful companions. Surrounded by open pastures of green, and trees lending their branches for shade, this is a peaceful place. It is a place to reflect on the spirit and love that was shared by you and your pet. The patron saint of animals and ecology; ever the lover of all animals; he called them all his brothers and sisters. This is the legacy of St. Francis of Assisi.As autumn arrives, a procession of animals, from dogs and cats to hamsters and horses, were led to churches for a special ceremony called the Blessing of Pets (October 4th is the feast day). 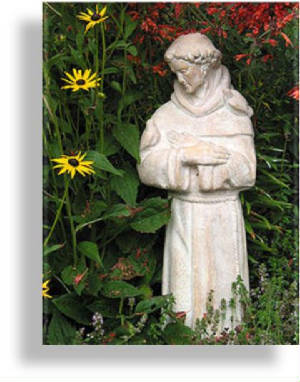 This custom is conducted in remembrance of St. Francis of Assisi's love for all creatures. Pope John Paul II, in 1979, also proclaimed St. Francis as patron saint of ecology,"...An example of genuine and deep respect for the integrity of creation..."St. Francis wrote a Canticle of the Creatures, an ode to God's living creatures.